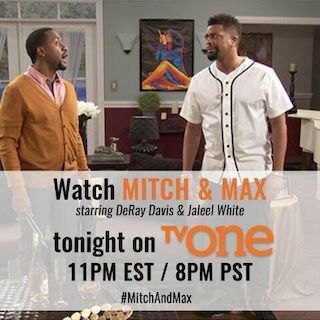 Mitch N' Max is an American 30 minute scripted comedy television series, which kicked off on August 18, 2015, on TV One and is broadcast every Tuesday at 23:00. The show is currently in its 1st season. Mitch N' Max is a comedy in the vein of "The Odd Couple".